We are a local Tibetan travel agency based in Lhasa that always work hard and take great care for our clients by using local services as much as possible. All our experienced team both our tour guides and drivers has been in Tibet tourism industry for more than a decade. Especially our guides, who have good command over English as well as abundant knowledge about Tibet culture and history. Having a experienced and patient guide is the key factor when booking a tour. In short, we believe Reliability of a travel agent and professionalism of an agencies depend entirely on the efficiency of Tour guide. Our agency is proud to be working with professional and experienced local tibetan tour guides to ensure you a Tibet travel filled with memory of its people,its land and its culture..
We are offering absolutely customizable private tours to fit perfectly with your travel style. We also operate join-in group tours on fixed departures for those who are looking for different Tibetan adventure with travellers from all around the world. We also have good partnerships with Mainland China, Nepal, Bhutan and other international travel agencies. Our company is registered as Tibet Xin Yun Travel Service CO.LTD in Lhasa city. Our Tourism License is L-XZ00278. My Name is Dhondup and I’m the founder of Tibetan Guide Travel Agency. Born and rised in Shigatse area, now I’m based in Lhasa. After my graduation at Tibet University and many years working as guide, I started my own company in 2010. I have 12+ years experience in Tibet Tourism industry, and some of our tour guides had been more than 20 years working in this field. If you are travelling to Tibet, please contact us, we are able to arrange for you any tailor-made private tour as requested, including trekking, cultural, spiritual tours and even find a group of like-minded travellers to join. Please let us know, what do you like to do in Tibet, which places do you like to explore and how many days do you want to stay in Tibet. I personally take care of every detail of your trip so it became wonderfull and memorable once in a lifetime experience. Our main goal is to make you feel at home. 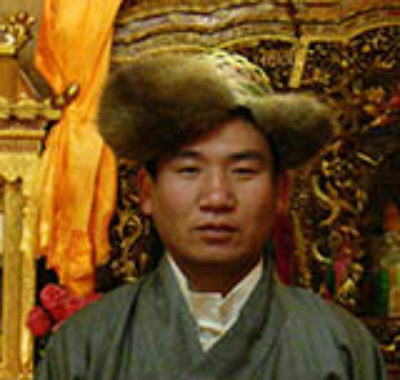 Tenchuong was born in 1976. 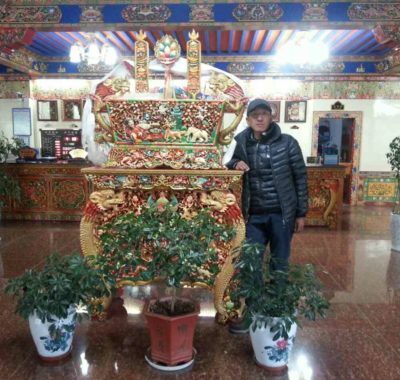 He was educated in the monastery for fifteen years and now works as tour guide since 2006! His Buddhism knowledge is superb. He also knows very well Ngari Region (Mt. Kailash). Ciring was born in a small village near Lhasa city. He is one of the best experienced guides in Tibet, working in tourism since 1990. 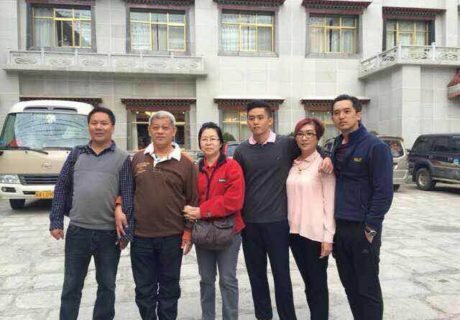 He is very knowledgeable about Tibetan History and always do his best for our clients. Our groups are always happy and enjoy too much with him !! Tashi Delek friends from all corners of the world! I have been working as a tour guide here in Tibet since 2006 and working with Tibetanguide as tour guide so I could share my passion for my homeland and educate people all over the world about Tibet. With all my years of experience I have not lost that passion and it continues to give me great pleasure to meet new people and watch them fall in love with this holy land.